Friday, 21 December 2018, 10:39a.m. And as part of a new contract - another chopper will be added to the "eye in the sky" fleet. Police confirmed this morning that the helicopter service will relocate following a lengthy tender process for a new contractor. In May the Herald revealed that both the police and Auckland Westpac Rescue Helicopters were likely to shift from their central Auckland site after the lease for the land they were based on at Mechanics Bay changed hands. Suggestions of a move caused huge concerns for those working on the front line - including whether longer travel time from a new base might cause delays in responding to critical incidents - but police bosses promised any relocation would not affect the quality of service. 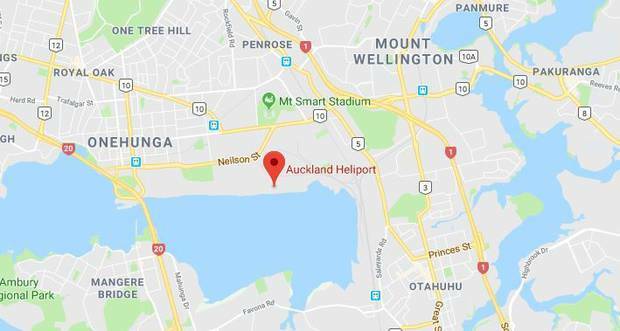 For many years the police Eagle helicopter and Westpac-branded Auckland Rescue Helicopter Trust (ARHT) choppers have operated from the Mechanics Bay heliport off Tamaki Drive. The Eagle operations will be located at Auckland Heliport in Onehunga. But both now faced moving to new facilities after a change in leaseholders. Acting Auckland City District Commander Inspector Jim Wilson told the Herald that a new contractor had been chosen to supply helicopter services for the Eagle. "The change of supplier follows a tender process that commenced in early 2018 and will see our Air Support Unit relocating from its present location in Mechanics Bay to Auckland Heliport in Onehunga," he said. "Police will maintain its 24/7 Air Services coverage, equating to 3300 planned flying hours annually, which began in October 2017. "The new supplier is tentatively scheduled to commence operational services from July 1st 2019, however this is yet to be confirmed at this stage." Wilson said police would continue to work with the current supplier until the transition was complete. The new contract will see police supplied with three twin-engine Bell 429 helicopters. There are currently two Eagle helicopters - Eagle 1 and Eagle 2 - and they rotate, meaning only one is operating at any given time. "Police, along with the current provider and new provider, are all determined to make the transition as seamless as possible, minimising any disruption to air services in Auckland if indeed there is any at all," said Wilson. "We are looking forward to working with our new supplier and the public can expect to have the same great service from our Air Support Unit. "The Eagle helicopter will continue to serve the community as our 'eye in the sky', monitoring activity 24/7 and helping keep the public safe. "The relocation to Onehunga will see our Air Support Unit continue to be based in Auckland City District and there will not be a significant impact to response times to jobs around Tamaki Makaurau and further afield." It is understood a decision is yet to be made regarding the future of the Auckland Westpac Rescue Helicopters.